There’s a wise saying that goes: “When in doubt, start with the gut”. In other words, if you’re struggling with health symptoms, you can take comfort in knowing that healing the gut is the right place to start. We’re not just referring to digestive symptoms, either. Chronic low energy, joint pain, acne, eczema, depression, low immunity, and difficulty losing weight have all been linked to an imbalanced gut microbiome. Many people also suffer from chronic gut conditions. Twelve percent of Americans are said to have irritable bowel syndrome, and it’s believed even more cases go undiagnosed. (1) Leaky gut syndrome, SIBO, celiac disease, gut dysbiosis, and autoimmune conditions are on the rise, which serves as a reminder that caring for gut health is a priority. Where should you begin? There’s no arguing the path to a healthy microbiome is eating more plant foods and making positive lifestyle changes, like replacing happy hour with a yoga class. However, studies have shown that certain herbs, amino acids, and a group of antioxidants in tea can be supportive for improving symptoms and restoring gut health. Let’s take a look at which supplements made the list. Disclaimer: For dosage and safety, it’s important to consult with a healthcare practitioner before adding any supplement to your diet, especially if you’re pregnant or nursing. Out of all the supplements you could take, a high quality probiotic is probably the most important one. These beneficial bacteria are found all over the human body, and lay the foundation for a healthy gut. You can think of probiotics as the highly intelligent and high functioning housekeepers of the digestive system— they do so much to keep our health in check. Sadly, the modern day diet and lifestyle tends to be unsupportive for these guys. Processed foods and refined sugar, antibiotics, excessive alcohol, and high stress can all contribute to wiping out your good bacteria. This leaves your microbiome highly susceptible to allowing bad bacteria and harmful pathogens to take over. Having more bad bacteria than good— a condition known as gut dysbiosis— sets the stage for chronic health conditions to develop. (6) This is why it’s often necessary to take a probiotic supplement for gut repair and maintenance. You can also get probiotics in your diet by eating fermented foods such as miso, tempeh, sauerkraut, coconut milk yogurt, beet kvass, kimchi, and water kefir. Caution: If you’re not used to eating fermented foods, start small (for example, one tablespoon of coconut milk yogurt each day), and work your way up to the recommended serving. This will prevent gas, bloating, and other digestive symptoms that can show up as you begin to rebalance your gut bacteria. 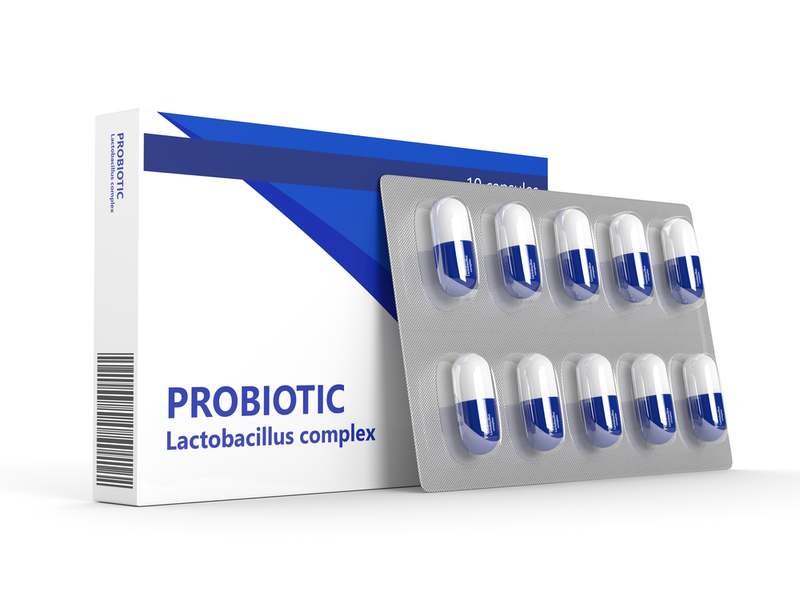 There are many different strains of probiotics with intense sounding names— such as lactobacillus acidophilus and bifidus— and they all provide different health benefits. For example, some strains of bacteria work best for acne, while others are known for fighting yeast and fungal infections. This area is where you’ll need to do some research, or speak with a healthcare practitioner to find the right strain(s) for your needs. Check the expiration date on the probiotic supplement. Ensure your probiotic is not close to expiring. As living cultures, you want to make sure you’re ingest these bacteria while they’re alive. Choose a probiotic that’s enteric-coated. Enteric coating on a probiotic supplement increases the chances of the bacteria surviving a long journey through stomach acid, all the way to the intestines (7). Choose a probiotic supplement with 10-20 billion CFU strains (or more). The potency of a probiotic is measured by it’s CFU, or colony forming unit number. This number can range anywhere from 1 billion to 100 billion. For adults, the daily recommendation is 10-20 billion CFU’s (8). A high quality probiotic also will guarantee a CFU at expiry, which means it will contain at least the amount of bacteria stated on the label when it’s on its last legs. For long-term supplementation, choose a multiple strain probiotic. With a nearly identical name to probiotics, you’d think prebiotics are the same thing, but they’re not. They’re more like the “precursor” to probiotics. Isn’t it crazy to think that without prebiotics, we wouldn’t have probiotics, and neither you or I would be here? 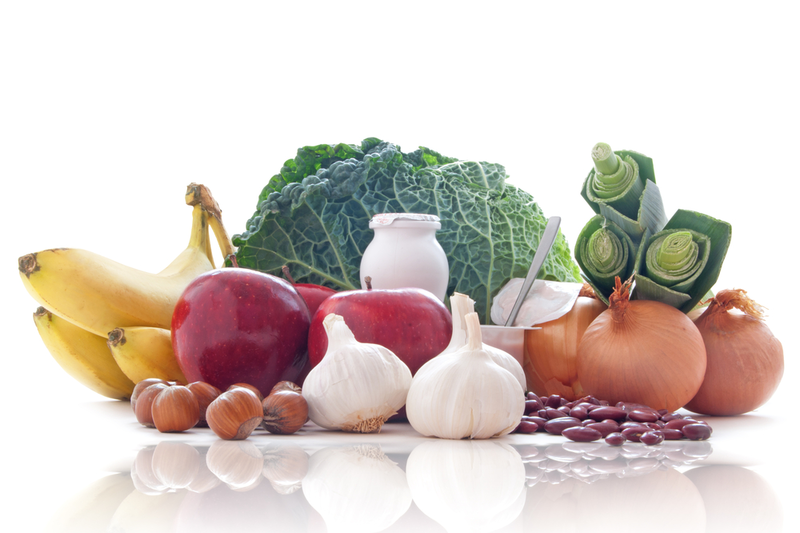 There are many different types of prebiotics. The most common are inulin, oligofructose, fructooligosaccharides (aka: fructans), galacto-oligosaccharides, and resistant starch. You may have also heard of the prebiotic pectin, which your Grandma used to make strawberry jam. It’s recommended to get at least five grams of prebiotics daily for optimal gut health. In addition to these foods, a prebiotic supplement can help you meet your intake. Why do regular tea drinkers live longer? 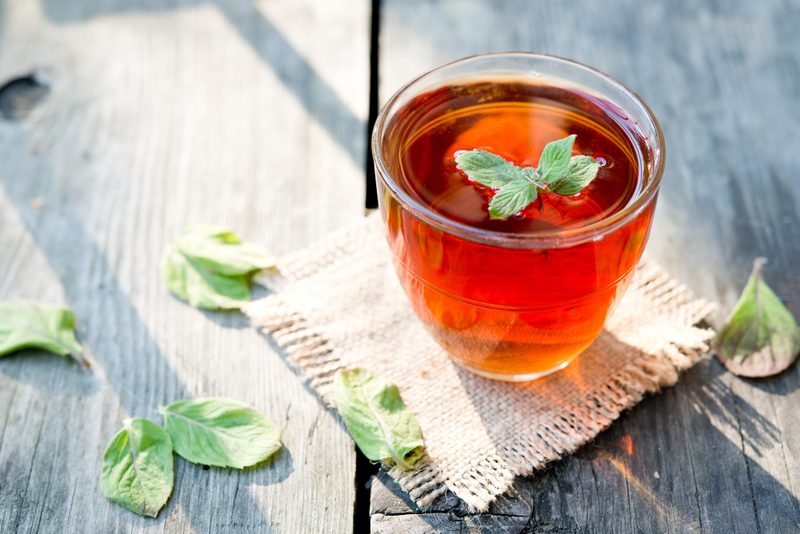 It may have to do with the connection between the active ingredient in tea, called polyphenols, and their positive effect on gut bacteria. One animal study found that both green tea and black tea increased the amount of healthy gut bacteria associated with lean body mass— and reduced the amount of gut bacteria associated with obesity. (14) Whaaat? How could this happen? Who knew that drinking tea could be one of the most effective and enjoyable rituals for gut health? When it comes to getting polyphenols from tea, quality matters. The polyphenol content will largely depend on how the tea was grown, harvested, processed, and brewed. Made with leaves from the first flush (harvest), which yield a higher polyphenol content. 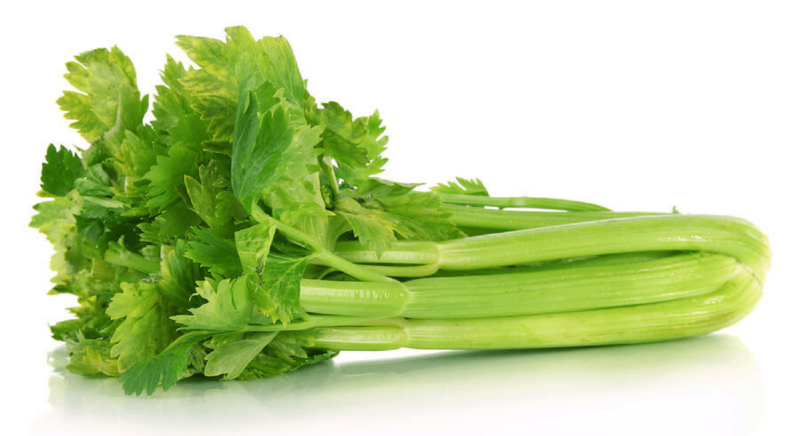 Make sure the leaves were minimally processed and not exposed to high heat, which can damage the polyphenol content. Triple Toxin Screened for pesticides, heavy metals and toxic mold. Otherwise, you risk ingesting anti-nutrients that are counter-productive to gut healing. In addition to black tea and green tea, there are plenty of other polyphenol rich foods you can eat on a regular basis. You probably already have some of them in your kitchen: olive oil, black olives, raw cacao powder, and red wine (small amounts, in moderation). Here’s an in-depth list of polyphenol rich foods. 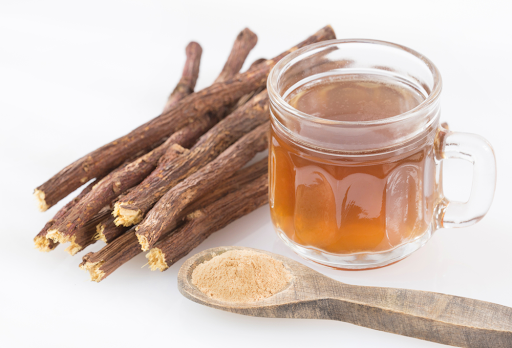 Licorice root can be brewed as a tea, or taken as a chewable tablet or capsule. Licorice contains glycyrrhizinic acid, an immune boosting acid that can negatively interact with certain medications (including those that lower potassium levels and increase hypertension). Err on the side of caution, and check with your doctor before taking it. 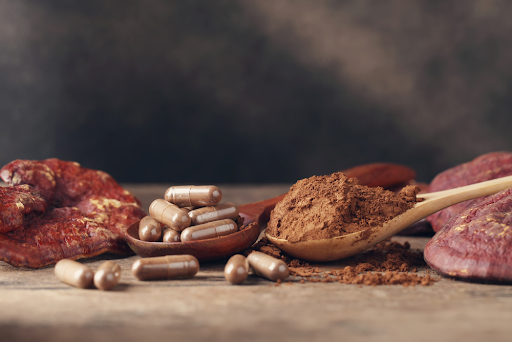 In Chinese medicine, reishi mushrooms have been used for over 2000 years for energy, vitality, and fertility. (20) However, it may be another best kept secret for reversing gut dysbiosis, and positively altering healthy gut bacteria. You can take reishi mushroom in powdered form and add to smoothies, tea or coffee, or use dehydrated reishi mushrooms for cooking. For hundreds of years, our ancestors consumed collagen from animal bones by making bone broth. It wasn’t until recently that collagen protein supplements (sourced from cattle or fish bones) took the world by storm for promoting gut health. In particular, l-glutamine assists with healing irritated tissue in the digestive tract, which suggests it may be helpful for IBS or irritable bowel diseases, such as Crohn’s disease. (25) It’s also believed that collagen helps seal the holes in the gut lining that cause leaky gut. (24) However, more clinical trials are needed to confirm this. As a tasteless powder, collagen mixes well with smoothies, juices, and soups. You could even add it to a gut supportive, polyphenol-rich dessert like avocado cacao mousse. Collagen dissolves well in virtually anything, so don’t be afraid to get creative. A note on quality: Always source bones and collagen supplements from grass-fed, pasture raised cows to avoid growth hormones and antibiotics. Caution: If you experience digestive symptoms after taking protein supplements, you may want to start adding collagen to your diet by making a bone broth instead. 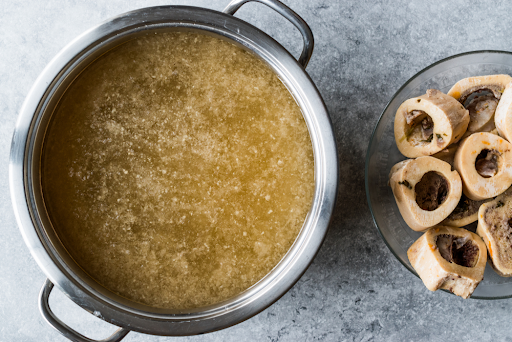 Collagen is easily absorbed when it’s released from simmering bones and connective tissue for long periods of time, with added vegetables and herbs to create a tasty, healing broth. If you have an aloe vera plant, you can take the juice directly from the plant and add two tablespoons of the gel to any juice or smoothie recipe. It’s super refreshing when mixed with cucumber juice, filtered water, and lime juice. Caution: Aloe vera should be used sparingly as it has a natural laxative effect, and should not be taken in high doses. It may also interfere with certain diabetic and diuretic medications, so if you are currently experiencing any health issues, be sure to consult with a healthcare practitioner before adding aloe vera to your supplement regime. When purchasing aloe vera juice, make sure it’s pure aloe with no sugar or other additives. In the past, an issue with curcumin supplementation was that despite all of its amazing health benefits, it had a very poor absorption rate. 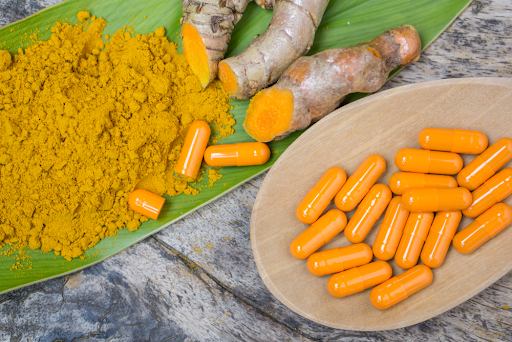 Clinical trials used unrealistic and large amounts of turmeric for their findings, which weren’t do-able for people at home— however, a solution has been found. As you can see, nature has provided a generous pharmacy for healing and supporting the gut. While it’s ideal to take certain supplements regularly (such as probiotics), not all supplements will need to be taken long-term. You can even begin improving your gut health right now by sipping on a strong cup of black tea. A great tea to drink is Pique Tea – a convenient, pure, and high-quality tea with superior testing. When you’re drinking something every day, you want to make sure it is pure. Pique Tea is the only tea company to Triple Toxin Screen for heavy metals, toxic mold and pesticides. They use a Cold Brew Crystallization (which eliminates all heat and extracts the maximum antioxidant capacity of tea leaves) to create unique Tea Crystals which deliver up to 12 times the antioxidants of regular tea (verified by 3rd-party testing) so you’re getting the most out of each brew. Their teas are also organic, additive and sugar-free, and dissolve in warm or cold water, giving you a powerful, clean, and perfectly brewed cup of tea on-the-go. Previous Post How Does IBS Affect The Quality of Life?